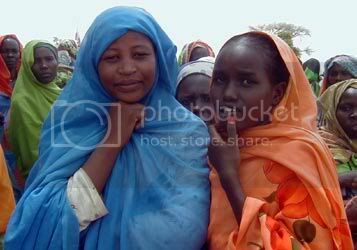 EcoJustice: About Darfur, Part 1. There is a years long grisly struggle between ethnic groups in Darfur — with one government-backed militia brutalizing civilians with ethnic connections to the guerrilla rebels they fight. There is a refugee crisis, starvation, drought, and horrible violence. The conflict in Darfur is complicated. It has several causes, and the people who fight sometimes do so for different reasons. Sudan is riddled with deep ethnic divides, fueled by the colonialism that favored one ethnic group over others. There is political posturing and finger pointing in Khartoum that might occupy a handful of doctoral theses on the subject before we understand it all. 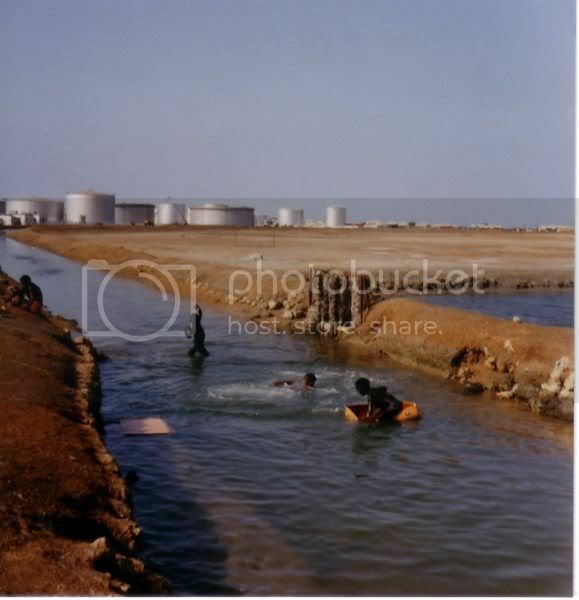 But at least two of the reasons this conflict persists are rooted in ecojustice: desertification and oil. And that oil doesn’t even lie under Darfur. We see images of Darfur on our computer screens, with people like Angelina Jolie, George Clooney, and Don Cheadle raising awareness about the mounting humanitarian crisis in that region of the Sudan and Chad. But to make the story clear, they tend to speak of Darfur as an isolated conflict inside Sudan; the greater context of the crisis does not change the dire need for aid and intervention. Remember on this day, We as a Nation are Directly Responsible for the plight of millions of recent refugee’s through our failed foreign policies of Wars/Occupations of Choice in Afghanistan, in Iraq, and now in Pakistan. We have many, supporters of our occupations mostly, who rail against any illegal immigrants crossing our borders for the jobs companies will give them, while at the same time forcing millions to flee to their neighbors countries, leaving those countries to absorb and support them. Will Obama Act to End Darfur Tragedy? I wanted to take a couple of minutes to share an op-ed that I co-aurthored with my friend Howard Salter. It ran in the Baltimore Sun today (link here) and suggests that the Obama administration use the pending ICC arrest warrant of Omar al-Bashir to push for international action to end the killing in Darfur. The expected warrant also opens a door for Mr. Obama and his talented foreign policy team. They can leverage the arrest warrant to work with influential partners across the globe to stop the killing and solidify a concrete peace agreement. By doing so, Mr. Obama would address a serious human rights crisis at the dawn of his presidency while also sending a clear signal that the U.S. is ready to once again lead by example. Lost in the July 3 rush to start July 4th partying is the Commander Athlete in Chief’s announcement that he will support the athletes by attending the opening ceremony of the Beijing Olympics. This direct, single digit salute to people who care about human rights in China and who are concerned about the continuing genocide in Darfur, was delivered to avoid outcry. Put another way, it reeks of cowardice. The White House said Thursday that President Bush would attend the opening ceremonies of the Beijing Olympics next month, a decision fraught with international political symbolism that quickly drew criticism from advocates for human rights. The advocates have been pressing world leaders to boycott the Olympics or at least skip the opening ceremonies to protest China’s violent crackdown after riots in Tibet and its support for the government of Sudan, whose Darfur region remains enmeshed in violence. The leaders of Britain and Germany have said they will skip the opening ceremonies. For some time, the White House has said that Mr. Bush will attend the Games, but has refused to provide further details. That changed late on Thursday afternoon. 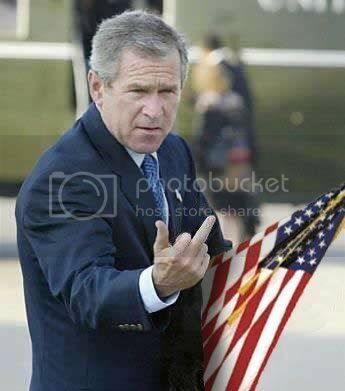 With most of official Washington already gone for the Fourth of July holiday, the White House press secretary, Dana Perino, issued a simple statement outlining Mr. Bush’s August travel schedule, including the notation that he would go to the opening ceremonies. Former mayor Willie Brown, football player Hershel Walker, and swimmer Natalie Coughlin, carry the torch on the final leg of the ‘surprise’ route. Surrounded by a phalanx of Chinese security, police with batons, and a motorcycle motorcade….with nary a protester in sight. Yep – this is how San Francisco shows its Olympic spirit! On April 9th the Olympic torch came to San Francisco – the only North American city on its route. This was preceded by weeks of controversy over China’s human rights record, the situation in Tibet, and how this most liberal american city would handle the event and the surrounding protests. My parents (from Illinois) were in town that week so I took the opportunity to schedule a day off and go see the Olympic torch. Lots more pics below the fold. Pony Party, If You Only See One Movie…. I recently had the opportunity to see “The Devil Came on Horseback” on the National Geographic channel (where it will be shown again Friday at 6 p.m. EDT). It is the story of a U.S. Marine Captain named Brian Steidle, who takes an ‘oversight’ position in Darfur, armed only with a camera, to monitor a cease-fire between the Muslim north and the Christian south. The Kyoto Treaty is not the only treating affecting human survival that Bush prefers let languish without the participation of the United States. He also unsigned us from the Rome Treaty that established the International Criminal Court. Monks on Thursday called for the release of fellow Buddhist clergy. They were joined by area residents at a local market, according to the center, which is based in the seat of the Tibetan governmment-in-exile in the Indian town of Dharmsala. The center said police who were rushed to the scene began beating participants, despite efforts at mediation by a senior monk. Receptionists reached by phone at Tongren hotels confirmed the protest, saying a crowd had gathered near the local county government offices. “Today there’s no more protests. Those people were all seized,” said one receptionist. The women refused to give their names for fear of retaliation by authorities, who have reportedly offered rewards for information on people leaking news of protests and crackdowns to the outside. A worker at a Tibetan restaurant in downtown Tongren near the monastery said police attacked protesters indiscriminately. “They were randomly beating people,” said the woman, who gave her name as Duoma. The AP reports that the Tibetan Center for Human Rights and Democracy has put the number of people arrested at over 100. Amid the Chinese government stepping up claims that the Dalai Lama wants to foment a violent uprising in Tibet – including allegations today that they discovered an arms cache in a Tibetan monestary (link: http://www.reuters.com/article… ), the Dalai Lama gave a forceful reply last Friday. He didn’t call them the Evil Empire. He didn’t say they were members of the Axis of Evil. He said, “we are not anti-Chinese”. 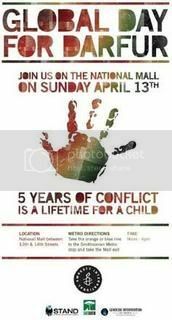 This Sunday, April 13, from 12 noon to 4 pm on the National Mall in Washington, DC, Americans will have the opportunity to learn first hand what the past 5 years have been like for the children of the Darfur region of Sudan. Sponsored by Amnesty International, STAND: A Student Anti-Genocide Coalition, the Genocide Intervention Network, and the Save Darfur Coalition, this is a unique opportunity for people to gain an understanding of the complex yet devastating nature of the conflict giving rise to the ongoing genocide in Darfur. When Anna Schmitt of Waging Peace traveled to eastern Chad bordering Darfur in 2007 to conduct research on the humanitarian, human rights, and security situation in the region, she was told levitra generico online prezzo più basso “If you really want to know the truth, speak to the children.” She collected over 500 drawings by children in the camps. You can see some of them at the Save Darfur Coalition website here, or read more about them at the Darfur section of the Waging Peace website. These drawings can break your heart. For a million Darfuri children, they have lived their entire lives now running from the janjaweed, traveling from camp to camp, never knowing the meaning of the words “safe” or “home” — these are concepts they have never experienced. Five years is a lifetime to a child. Can we stop or prevent genocide? I am no expert in this part of the world, nor in military and diplomatic affairs. I am also a Quaker, and prefer the use of diplomacy to that of force. But I also refuse to stand silently by in the face of slaughter. And I think Kristof’s Memo to Bush on Darfur should be mandatory reading, and the starting point of serious discussions. Let me explain why.